Yesterday, I decided that I am going to make bread. Why not? If not for every day use, at least once in a while. I have made bread in the past, and it is always unbelievably good. There is just something special about home made bread that you can’t find in the store-bought variety. So, I went to the store today, carrying Alex in one arm, not wanting to bother putting him in a sling to just run inside, and bought some yeast and bread flour. Carrying an almost-18 pound baby in one arm, bending all the way to the bottom shelf to pick up two bags of bread flour, and then reaching up to the top shelf to grab the yeast was, well, not fun. My arms hurt. Anyway, I came home and mixed 2 cups of flour with 2 cups of warm water and added the yeast. I followed some advice I had found online about the initial fermentation of a sourdough starter and placed the flour-water-yeast mixture into the oven with the pilot light on. It started bubbling and growing within 30 minutes. I could tell that this would be a good starter, and I was excited about making some bread in the near future! Needless to say, I’ll have to make another starter (and purchase a new plastic mixing bowl)! Hey there! I LURVE your new blog! Also- I bake my own bread regularly and it’s a great way to save money and control the ingredients! Here’s my super secret recipe– it makes two loaves and freezes really well. Mix the yeast and about 1 tblspn of sugar in a tall glass of warm water and let stand until all nice and foamy. 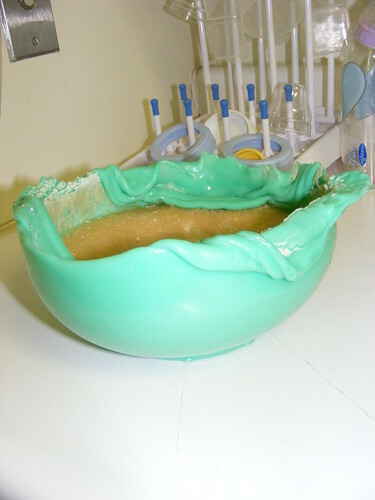 Mix all other dry ingredients in your new plastic bowl, then add the yeast-mixture and mix mix mix. Keep adding warm water until you’re able to make a soft dough. There’s nothing wrong with tasting the dough to make sure you like your herb mixture! Turn out on to a floured surface and knead for approximately 8 minutes. If dough is too sticky, keep adding a bit more flour. When dough is smooth and elastic, set in a greased and covered bowl for 45 min. Turn out again and knead gently– just for a minute or so! Separate into two log-like loaves and plop ’em into yer loaf pans. Cover and let rest for another 30-45 minutes, then bake at 345 for approximately 20-30 minutes or until the loaves sound like “THUNK” when struck with a finger. If you get a chance to try it out, let me know how it works for you! I think of the Allison-Zach-Alex Triad quite often, and I love seeing your pictures on facebook. I sooo love reading about your adventures and knowing that everything is going well. Also, there’s a chance I might be in Pittsburgh for the summer… when exactly are you guys heading to the west coast? Thanks so much for the recipe! I will definitely give it a try, maybe tomorrow! And as far as Pittsburgh goes, we’ll be here until mid-July. What would you be doing in Pittsburgh? DEFINITELY get in touch if you are going to be here! Shady Side Academy needs some archival work done on a temporary basis. They’ve offered me the position, but I need more details on the project before I can comitt… if it comes through, though, I’d be up around the 6th of July. I’m laughing so hard I’m crying! I’m glad to see you’ve embraced wordpress – I love ’em!